improved access management measures on and off the highways. 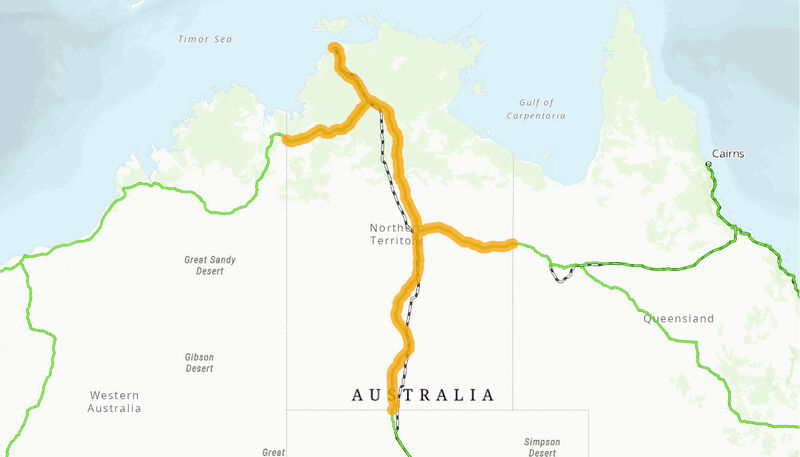 The measures in this package of works are designed to offset the impacts of the growth of heavy vehicles and tourism traffic in the Northern Territory. It is expected that the project will improve the level of service on the Network by alleviating congestion at rest areas and reducing the incidence and severity of road accidents. This project will also implement access management measures which are expected to create a safer road environment. The Australian Government provided $27.37 million to this project. Works under this program commenced in mid 2010 and were completed Mid. 2014.